Ya'll have always done outstanding service. Keep up the good work. Thanks. Very pleased with service and product quality. Please keep them in stock. I will need more soon. I bought a Savage model 110BA and soon found that I may have made a big mistake. I had not reserched the cost of ammo before I bought the gun. 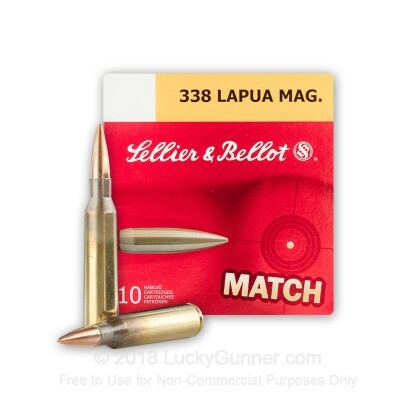 I found several brands of 338 Lapua Mag at five dollars to eight dollars a round, But after some more research I found the Sellier Bellot 338 Lapua Mag. MATCH ammo. Two friends and my self could not wait to get started. I have a Counter Sniper 4-50x75mm Tact scope mounted for optics. I zeroed the gun at two hundred yards, then went to five hundred yards,seven hundred yards, and finally out to one thousand yards. 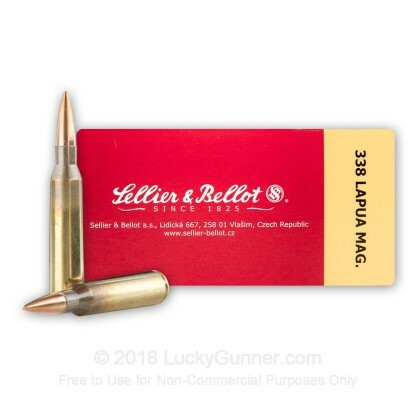 After a little time on the gun we were consistantly shooting the Sellier&Bellot 338 Lapua Mag MATCH ammoinsidet a 10" circle. We are currently shooting fifeteen hundread yards at torso size targets consistantly. 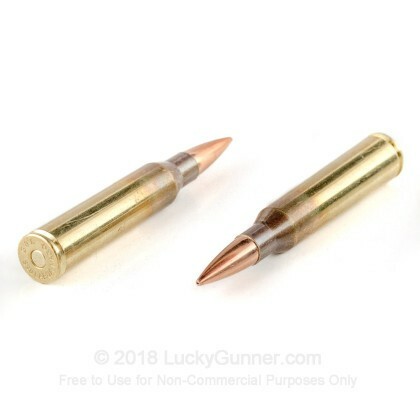 This 338 ammo in my opinion ( And this is the only 338 ammo I have tried.) is worth every cent and more that it cost. 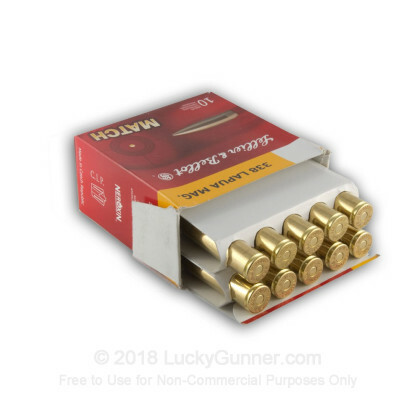 I have bought up as much of this ammo as I could find, and will continue to stick with this brand. IT IS ABSOLUTLY WORTH THE MONEY. Q: What is the ballistic coefficient of this round ?